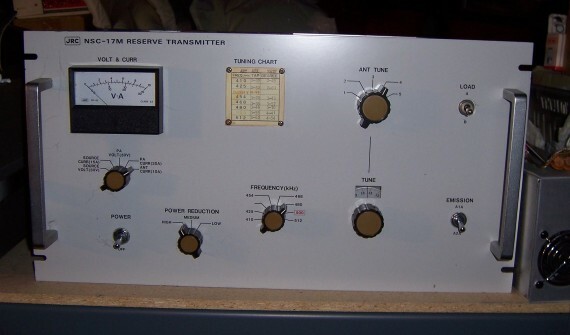 Crystal-controlled CW transmitter 472-479 kHz with built-in matching for short antennas. Front panel RF ammeter shows current into the antenna. 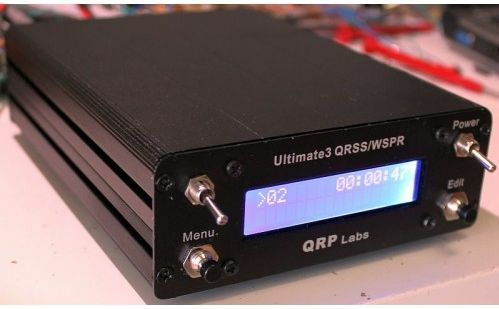 LPB "Carrier Current" Broadcast Amplifier driven by a QRP Labs Ultimate 3S for automatic WSPR beacon operation, or a Kenwood TS-990S for manned operation in a variety of modes. The L-Network to the lower right provides the matching to the inverted-L antenna. 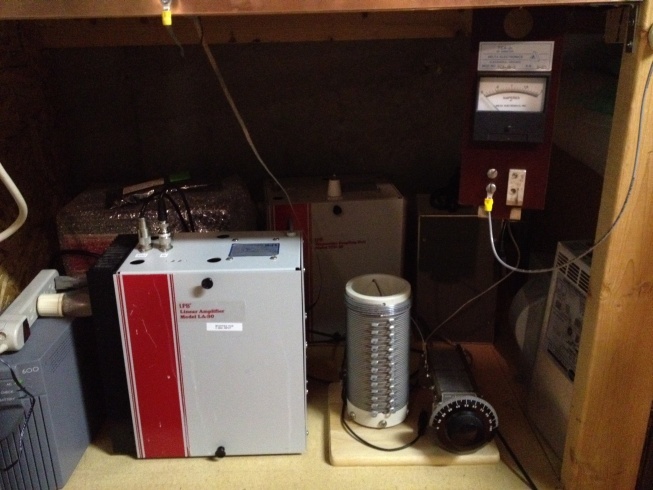 Meter to the upper right shows the RF current into the antenna. 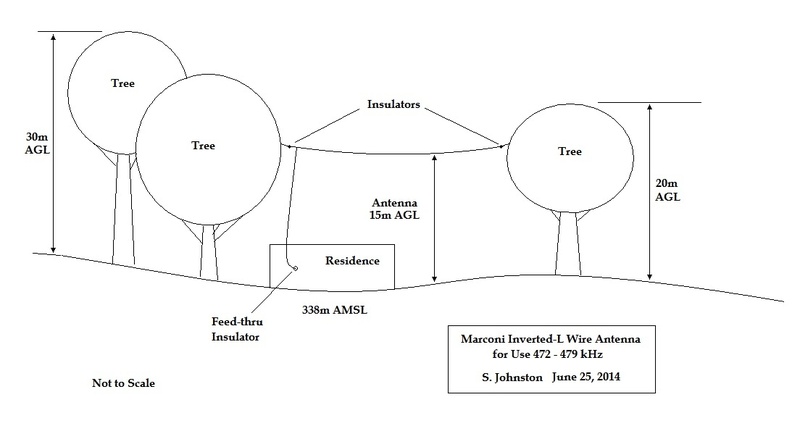 Antenna System - Inverted-L wire, 40 feet up and 100 feet across. The ground for the Inverted-L antenna system is just my regular station ground. The central ground point is along a section of wall where the all the utility service entrances are located. This central ground is a few feet of 1/2" copper pipe with 1" copper straps connecting to the power entrance ground, an 8' rod driven right outside the house, the iron and copper water pipes (before and after water meter), and the metal HVAC ductwork in my house. 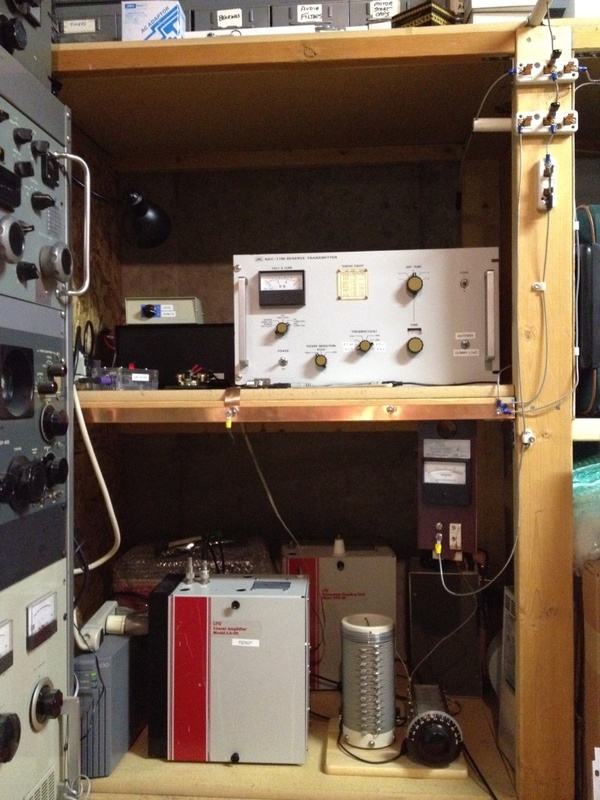 To this ground system I have connected (with more 1" copper strap) the operating desk star ground, my two Gates BC-1T AM transmitters, the 630m transmitters, and the shields of all my various antenna feedlines. I made no special ground for the 630 meter antenna system - just made sure its ground side was well-attached to my existing station ground. The outside of the various coaxial cable shields form accidental counterpoises and radials I'm sure. Receive antenna? 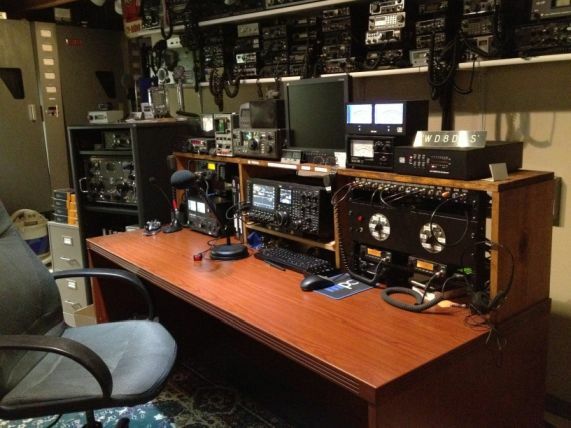 My best choices are my 75-meter inverted vee dipole (with the receiver preamp turned on), or my ground mounted 8' whip with a preamp at the base (preamp off in the receiver). I've been very diligent about keeping noise sources in my house to a minimum, but neighbors and powerlines do cause noises at times. I made a 10-foot shielded loop active antenna out of coax inside PVC pipe but it is stored in the garage right now - too unwieldy and has to be turned to peak signals or null noise.